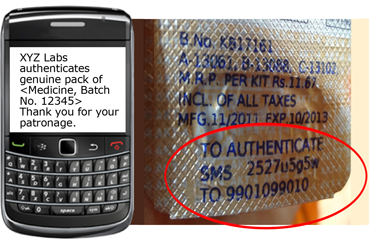 Medicine Authentication Verify your medicine here! Fill in the fields below to verify your medicine. If you see a product that you think should have a verification code on it, please send an email to customerservice@pharmasecure.com with the product name, the brand name, and the country where you purchased the product. We will speak with the manufacturer about protecting this product.